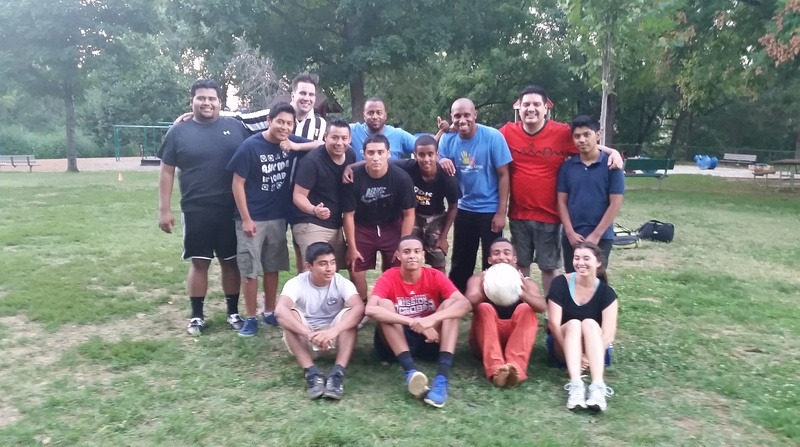 Community ONE volunteers and students at our recent Star v. Students soccer game. You’ve heard it before, but let’s say it again: sometimes it’s not what you know, but who you know. It’s a well-known fact that networking is key to advancing your career, and volunteering is a great way to widen your network. Your fellow volunteer may work in an industry that you’re interested in, or at a company you’ve had your eye on, and you never know what a good relationship with that person could lead to! The key here is to make sure that the relationship is genuine. So get out there and get networking! When it comes to volunteer opportunities, there’s just about something for everybody. Once you find an organization or cause that you’re interested in, there may be chances to learn or practice skills that you don’t use regularly. For example, maybe potential jobs you’re interested in are looking for someone experienced with graphic design. If you handle all of the graphic design for the organization you volunteer with, that’s transferrable experience that you can include on your resume – all for a good cause. It’s a win-win! Among the many benefits of volunteering, is the fact that it looks good! As mentioned in the last point, doing volunteer work gives you the chance to practice skills that directly translate into job responsibilities. In addition, it can show that you work well with others, you are passionate about a cause, you take initiative, and are a well-rounded person– all good things! If you are in a place where you are trying to figure out your career path, volunteering could very well help guide you in the right direction. If you love kids, or the environment, look for ways to volunteer in those areas. Maybe in the process you’re inspired to start your own business, or find out what you really love to do (or don’t love). The possibilities are endless, you just have to start somewhere! If you are in-between jobs, volunteering is a great way to fill in that space. Potential employers will more than likely ask about what you’ve been doing in-the-mean-time-in-between-time, so you should be prepared with an honest answer. Why not fill those holes with a positive experience that could help you hone in on your skills and interests? According to a Corporation for National and Community Service report, ‘volunteers have a 27 percent higher likelihood of finding a job after being out of work than non-volunteers.’ Volunteer work can show a potential employer that you’ve been actively trying to make yourself a more marketable candidate, and hopefully help land the job that you’ve had your eye on! Overall, volunteering is something that you won’t regret. Not only are you bettering yourself, but more importantly, you’re helping someone else. So while you look for ways to give back and how to reach your own personal goals, don’t forget the real reason why we volunteer. Get up, get out, and give back!